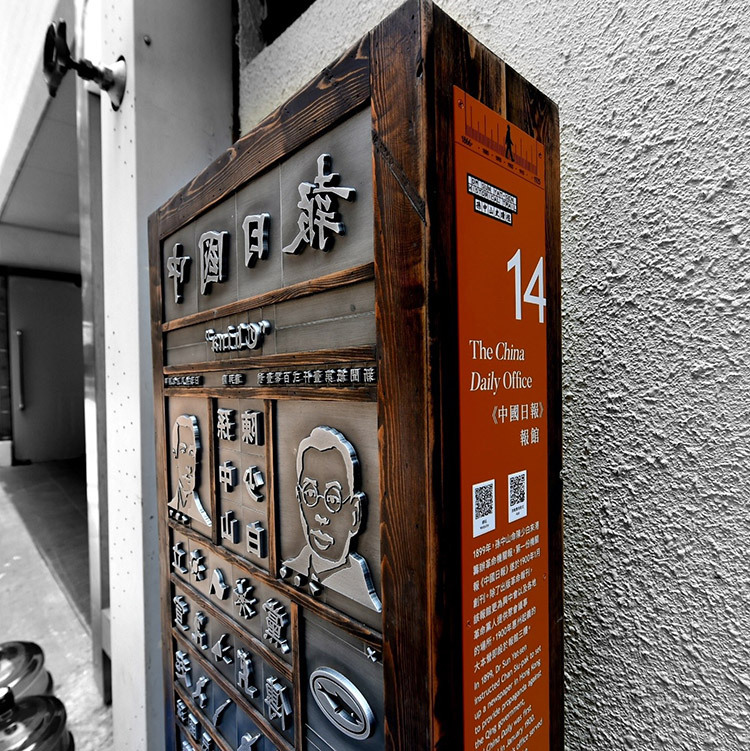 The China Daily office served not only to publish the revolutionary newspaper, but also as a contact point for members of the Xingzhonghui and revolutionaries from different places. The original site of China Daily office is located at 24 Stanley Street. In 1899, Dr Sun Yat-sen instructed Chan Siu-pak to set up a newspaper in Hong Kong to provide propaganda against the Qing government, and China Daily was first published in January 1900. The newspaper’s office served not only to publish the revolutionary newspaper, but also as a contact point for members of the Xingzhonghui and revolutionaries from different places. The Huizhou uprising in 1900 was planned and organised on the second floor of the office. China Daily was established in 1900 by Chan Siu-pak on the order of Dr Sun Yat-sen. The newspaper played an important role in spreading the revolutionary ideology in that period. The work aims to recreate the content of China Daily by imitating traditional letterpress type mixed with modern visual elements. Through the work to ponder over the effect of nowadays newspaper in the society.